Polycarbonate or PC sheets consist of amorphous thermoplastic with a high number of advanturage properties. Polycarbonate sheets have a high impact resistance, excellent rigidity great heat resistance and outstanding mechanical properties. In addition, Polycarbonate sheets have good electrical insulation properties, dimension stability and shrink resistance. Polycarbonate sheets have a moderate resistance to chemicals, so the material cannot be used with strong solvents or in correlation with bases and water over 60 degrees celsius. The general continuous temperature for application purposes is in the interval between approximately -60 to +125 degrees celsius. 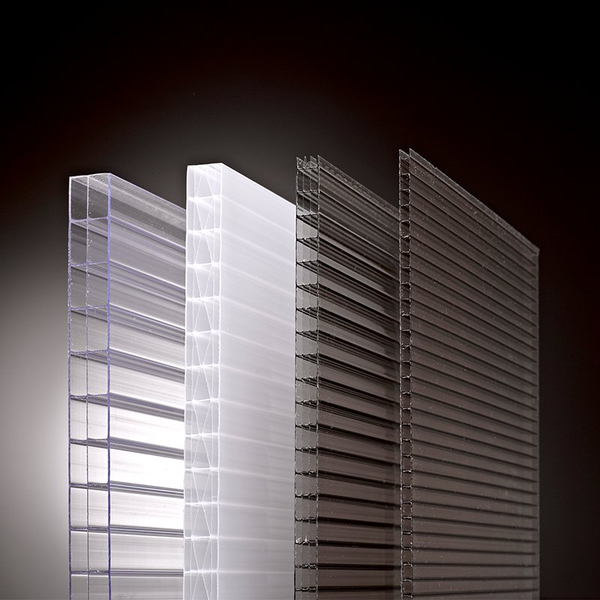 The polycarbonate sheets are excellent for safety applications such as product space separators in the automotive industry, machine shielding, theft prevention for window panes, bullet-proof shielding, signs, light fittings and windows.